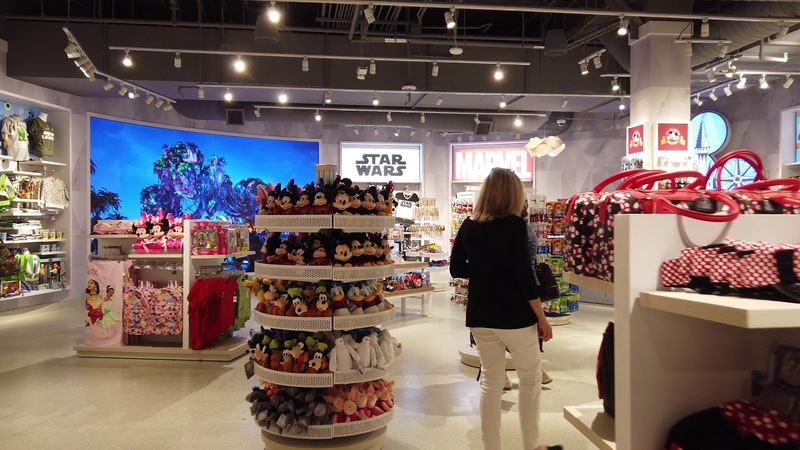 Jan 29, 2019 in "The Walt Disney Company"
An all-new Magic of Disney store is now open at Orlando International Airport. Located in Terminal B, the new Magic of Disney store offers a selection of apparel, accessories, home goods, and theme park gifts including Magic Bands. The modern design is similar to recent Disney Store redesigns, with a very open design, bright lighting, and minimal clutter. A large video display shows guests views of the theme parks. The existing Ear Port shop remains open in Terminal A, although it is yet to be updated. Check out the video below for a walk-through.